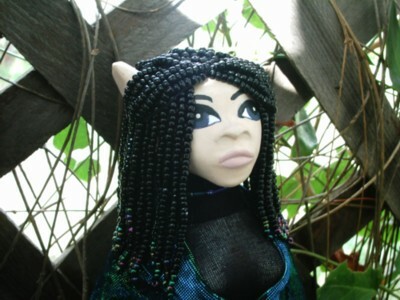 Raelin is a female Elf Sorceress, made of Polymer Clay. 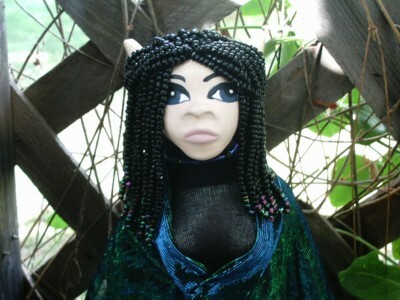 She is about 15 inches tall (she comes with a stand). 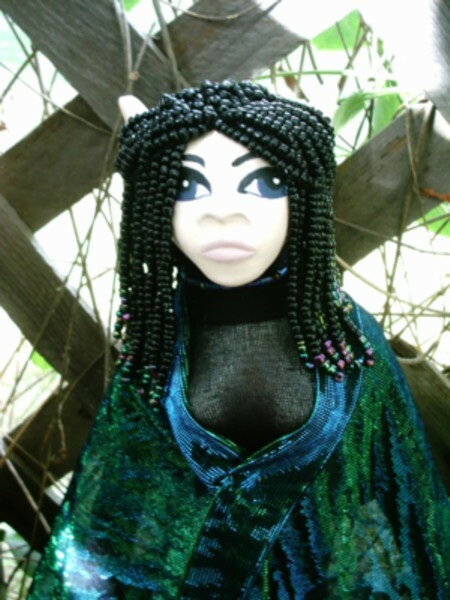 Her wig is completely handmade, using hundreds of black beads. Each strand is tipped off with 4 iridescent beads. She wears a sheer iridescent green/blue cloak. Underneath her cloak she wears a black body suit made of nylon and a long black skirt. She wears a handmade blue necklace. She has blue-grey eyes, and is entirely hand painted. $80.00 + S&H.